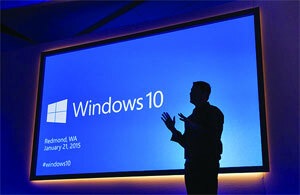 Microsoft recently unveiled a slew of new features and capabilities coming in Windows 10. It will be on mobile as well as desktops and laptops; improvements to maps; a new browser, code-named “Project Spartan”; a strong emphasis on gaming; and holographic computing. Windows 10 will be offered as a free upgrade to owners of devices running Windows 7, Windows 8.1 and Windows Phone 8.1 for one year after it’s released, said Terry Myerson, executive vice president of Microsoft’s Operating Systems Group. Microsoft hopes the new operating system will revive Internet Explorer and its mobile business, as well as being the future of Windows. The event will begin at 5pm GMT on Wednesday, and will be livestreamed online. The new operating system — built for screens tiny and huge and for mobile and desktop — is a simplified version of Windows. It mostly brings the look and feel of the operating system together and gets rid of some of the unnecessary trimmings, rather than adding new features. It’s also an attempt by Microsoft to escape some of the bad reaction to Windows 8. While the most recent version of the operating system has had good reviews, and was liked much more than Windows 7, companies and users have still been slow to switch to the new software. The start menu is very much back. It was taken away with Windows 8 (and then added back in after protests), but has been returned for the new operating system. A new build of Windows 10 will be released to Windows Insiders, and “after the Seahawks win the Super Bowl, we will be releasing our first build of Windows 10 on phones,” Myerson announced. Super Bowl 2015 will be held Feb. 1. “What is most notable is that we were shown five Microsoft platforms today, and they’re all moving towards this single universal app direction, and that’s a positive for developers, even though the process of tailoring it for those platforms is still a bit unknown,” said Wes Miller, senior analyst at Directions on Microsoft. “I imagine we’ll see more at Build,” he told TechNewsWorld. Perhaps the most dazzling announcement pertained to holographic computing. Windows 10 “will be our best enterprise platform ever, simplifying management and deployment for IT and working seamlessly with existing enterprise applications,” Myerson said. Security will be beefed up: The hardware component “will protect against techniques used in the latest series of attacks,” he pledged. Microsoft also is integrating IP messaging systems, particularly Skype, into its messaging app. Microsoft Excel, Word and PowerPoint will be incorporated into Windows 10 for mobile devices, and will work exactly as they do on PCs. An Xbox app will be on every Windows 10 PC and mobile device. PC, smartphone and tablet users will be able to play games live with Xbox One users.